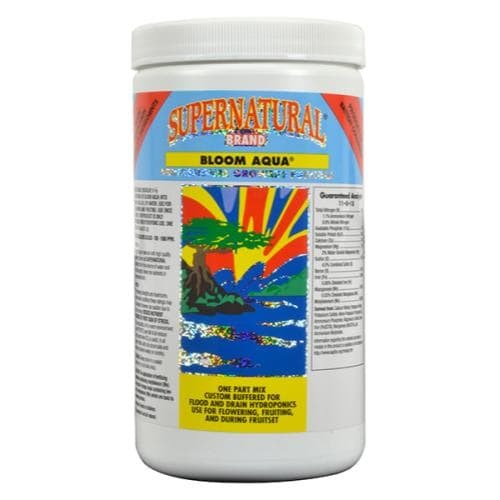 Used during the flowering stage in hydroponics to promote beautiful blooms, Bloom Aqua® contains essential minerals and trace elements to support vigorous flowering. 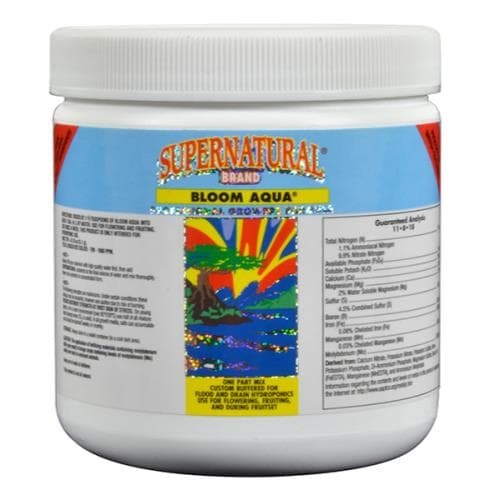 Bloom Aqua® also contain’s 8% calcium which allows you to use Bloom Aqua® without a calcium supplement and have healthy vigorous flowering growth. For the flowering stage, mix 1-1⁄2 TSP (5-7.5 ml) Bloom Terra® per 1GAL (4 L) of water. For the ripening stage, mix 1TSP (5ml) of Bloom Terra® per 1 GAL (4 L) of water. Stir thoroughly until powder has dissolved completely. Adjust nutrient strength according to the growth rate and size of plant (in environments above 85°F (29°C) use only 1⁄2 TSP (2.5 ml) per 1 GAL (4 L) of water).